Every now and then, we hear reports regarding theft of someone’s credit card information. Whether you are from a banking industry or you own a retail business, your customers will not be exempted from these data breaches unless you look for measures to secure every transaction that gets in your server. The good thing is that, changes have been made to assure customers that their personal information will not just be easily accessible by a third party. 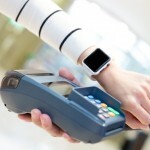 This change involves the way credit cards work and how using merchant solutions can help save the day. This is the same reason why EMV chip cards came into play. Originally, credit cards have magnetic strips at the back which hold the data that is needed to approve or decline credit card transactions. Take note that with such type of credit cards, anyone who has the access to the information held on the magnetic strip can easily make a purchase using the credit card account, without necessarily having access to the physical card. With the introduction of EMV cards, this type of error has been corrected. This type of card makes purchasing more secure because the card creates unique transaction codes every time the cardholder makes a purchase or a transaction. Since the codes are unique each time, there is no way that anyone can just use the card for fraudulent purchases. The use of EMV chip cards will not work unless you use chip-enabled readers for credit card processing purposes. 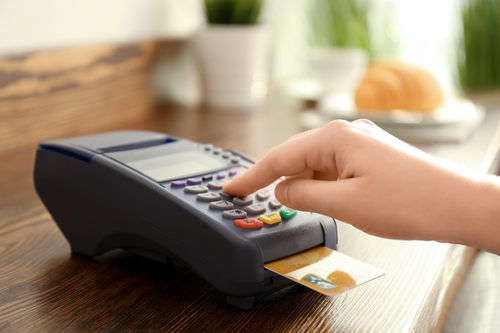 There are EMV credit card processing solutions that you can run to in order to comply with this requirement, regardless of what type of retail industry you are in. With this EMV-enabled cards, you can secure your customer’s information and at the same time protect your business from the possibilities of financially falling out just because of the fraudulent purchases that may come in to your servers. The traditional way of authorizing transactions using a credit card is made through the chip and signature call-to-action. In this manner, the card user will be asked to sign on a piece of paper in order to complete the purchase. From there, the signature will be verified with what is found at the back of the card. This same thing is being offered with the EMV-enabled credit card. For a more secure purchasing experience, some EMW cards require authorizing chip and PIN transactions. Requiring the customer to key-in the PIN for the card adds a level of security to the transaction. This will verify that the purchaser is the owner of the card. Like the chip and signature transaction type, the card will be inserted into the reader in order to create the unique transaction code. Retailers are liable for fraudulent purchases made by another person on behalf but without authority from the actual card holder. If you want to make sure that you also protect yourself from these predators, you need to invest in a chip-enabled card reader. The benefits of doing so are endless despite the initial cost that comes with the investment.